Jean-Luc Ravion moved to Hakodate in Hokkaido at the age of 25, and since then has devoted himself to recreating the authentic taste of the hams, sausages and pate of France, his homeland. 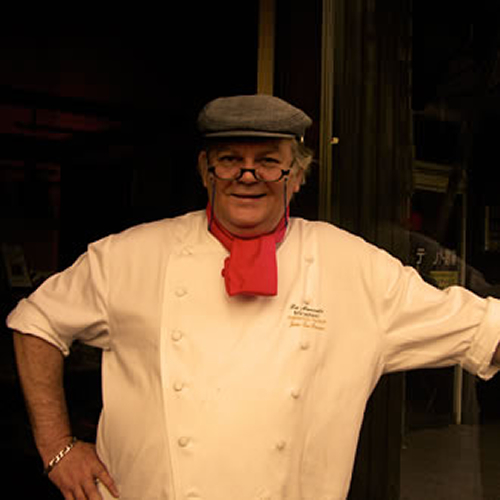 At La Marmite, Jean-Luc, who is a member of the prestigious Culinary Academy of France, offers you his home-made ham and sausages along with other traditional French food. There is also a collection of reasonably priced wine, mainly from the owner's home: the Loire. 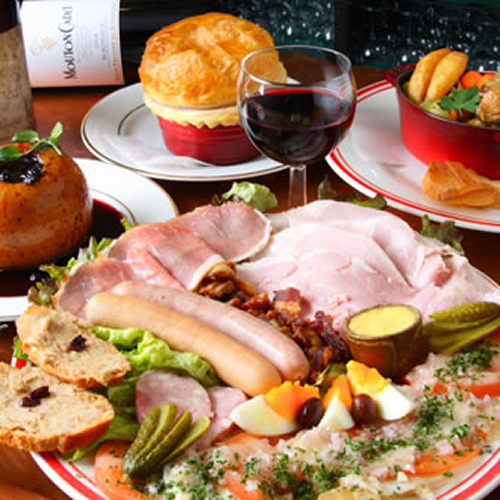 Come and enjoy a real French bistro at La Marmite! "La Marmite" un restaurant français bonne franquette ouvert midi et soir, avec une salle polyvalente pour vos réceptions, banquets, buffets et cocktails.. "La Marmite" et la charcuterie artisanale "Jean-Luc RAVION" vous offre également un service traiteur. Le patron est français. You can enjoy La Marmite's authentic hams, sausages and pates at home too! A smooth pork liver pate - try it spread generously on a crisply baked baguette. The ever-popular country style terrine. How about making a baguette sandwich with lettuce and taking it on a picnic? A smoked sausage with garlic. It's good just as it is, or gently warmed. *Also available from our website. (Japanese and French only). From Kurumamichi station on the Sakura-dori subway line, it's a five minute walk towards Sakae. 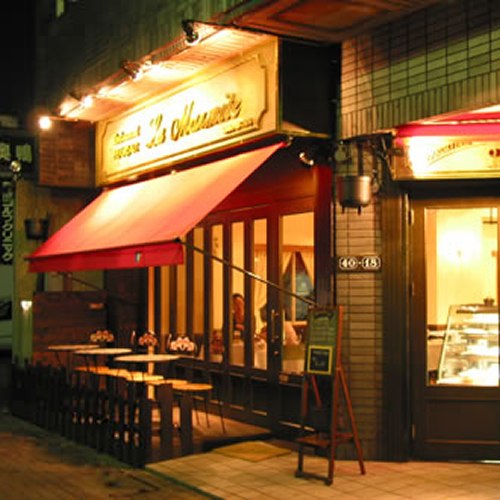 We're on the North side of Sakura Dori street. 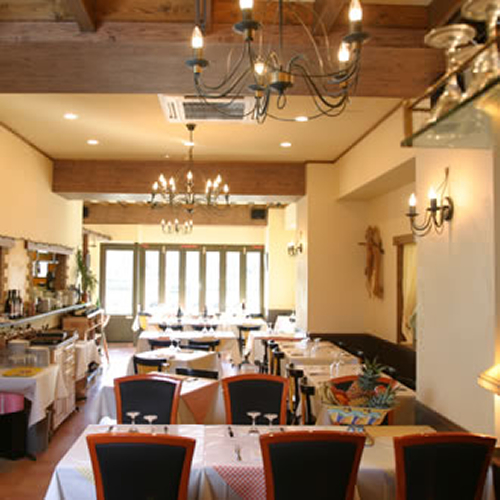 *You can reserve the whole restaurant for parties of up to 45 people seated, or 70 buffet style. 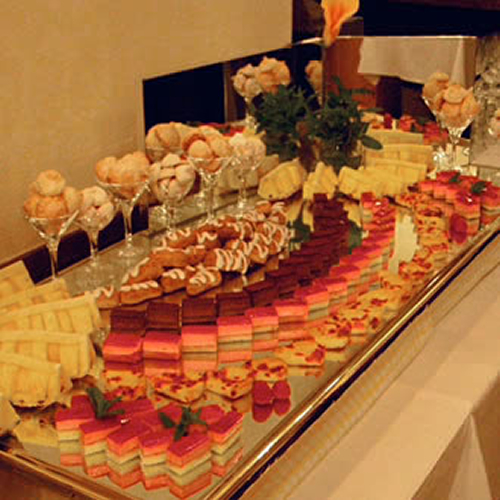 *We can cater for outside parties. Enjoy the taste of La Marmite at home! 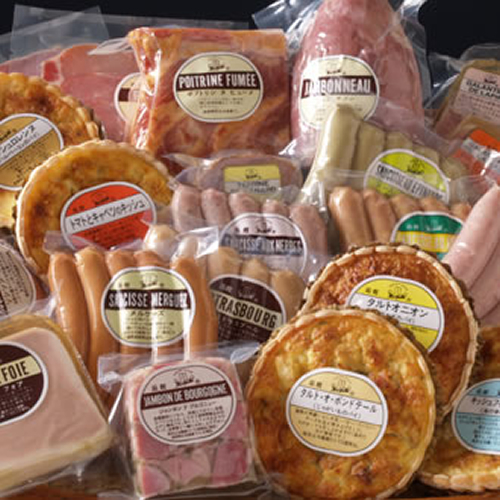 *Hams and sausages are on sale at the restaurant, and also via our website (Japanese and French only). Why not try the taste of La Marmite at home?